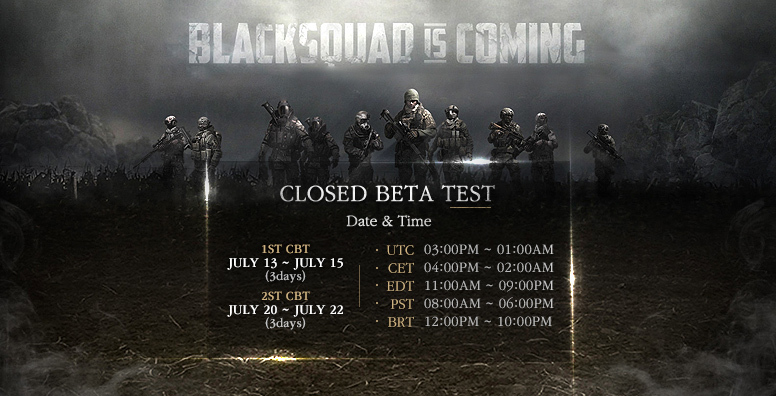 A new test server is added to check the connectivity in North America – West. 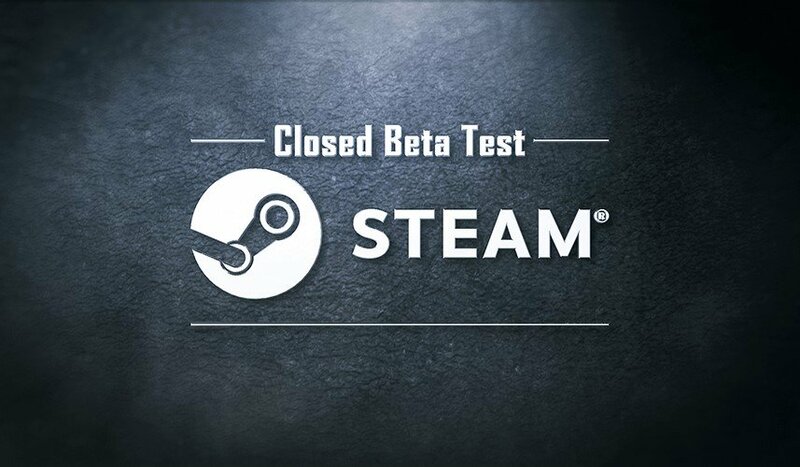 The test will be processed for a certain period of time. 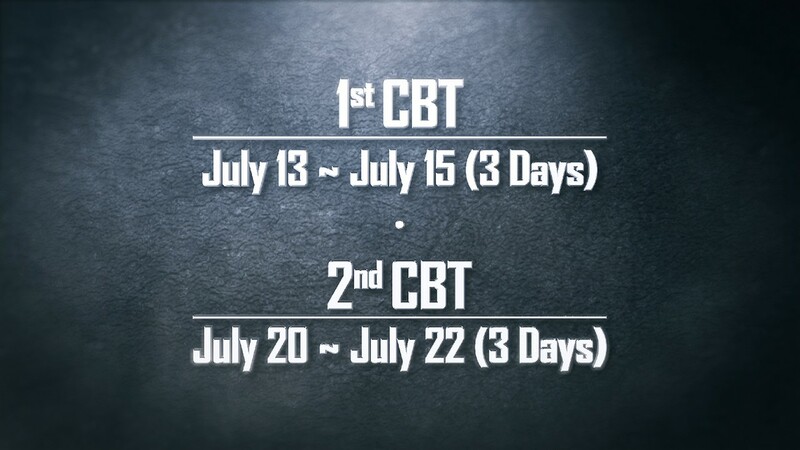 We kindly ask for your participation so that we can get as much test information as much as possible. During the test period, you can only participate in Custom Match and PVE-EVENT channel. VOICE CHAT is now available to use in Competitive Match. In order to use VOICE CHAT, please go to ‘SETTINGS – SOUND – Voice Channel – Connect/Disconnect’. 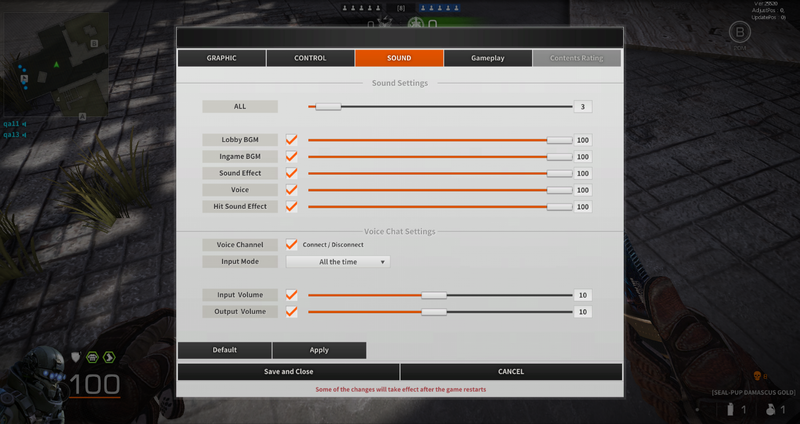 The default settings of ‘Voice Channel’ is OFF. 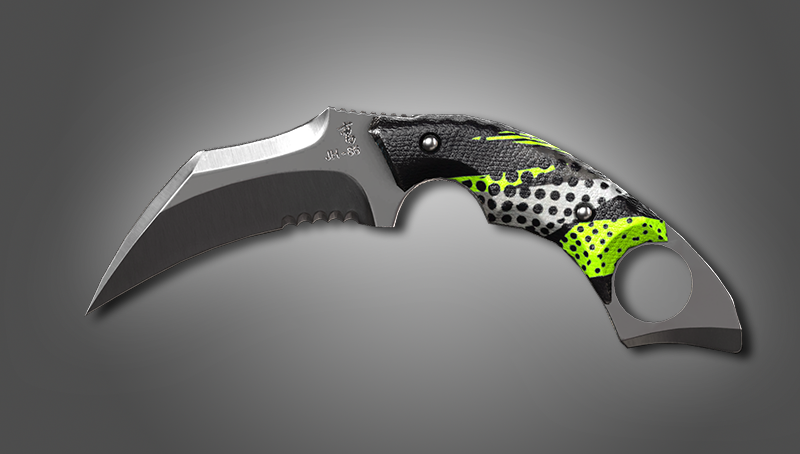 The setting will save from the last change. There are two ways of using VOICE CHAT. PUSH TO TALK: The shortcut key is the ‘O’ key. You can adjust the volume level as shown below. 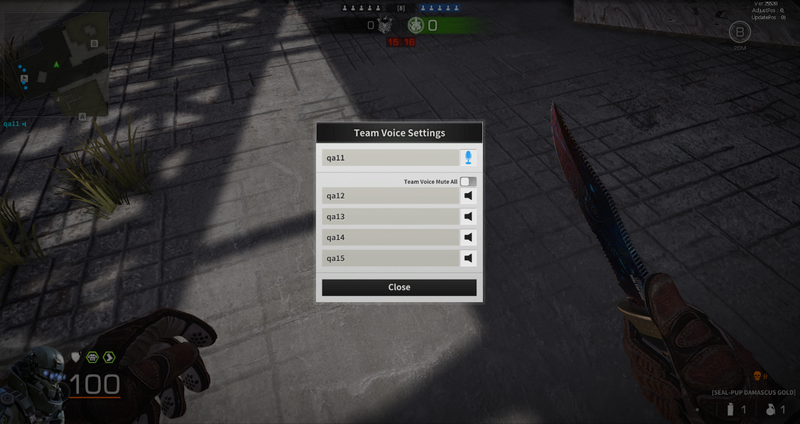 If you join the competitive match with the feature turned on, the VOICE CHAT function will automatically activate. VOICE CHAT is only possible between team members. Competitive Match – You can adjust the option of MIC & Speaker for you and your team members. 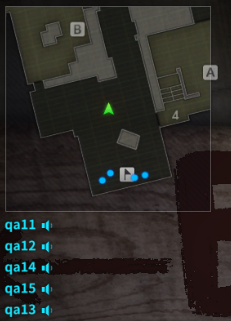 To see who is using VOICE CHAT during the match, the callsign of whom is using VOICE CHAT will display below the top left mini map. 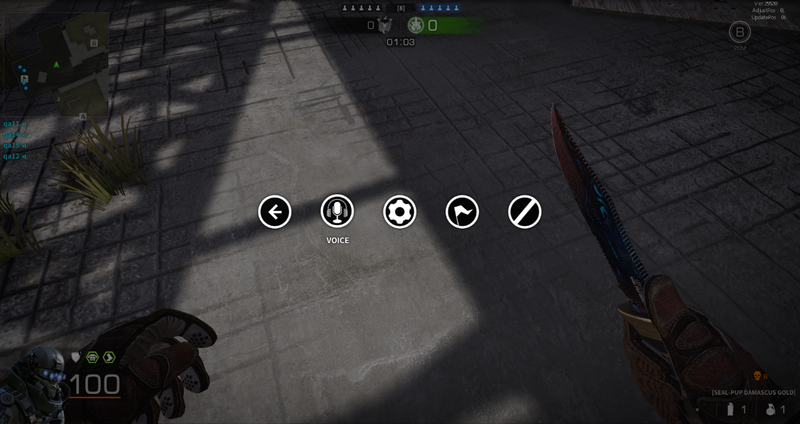 It will not display when the soldier does not use VOICE CHAT. When the match ends and you move to the lobby, the VOICE CHAT automatically ends. 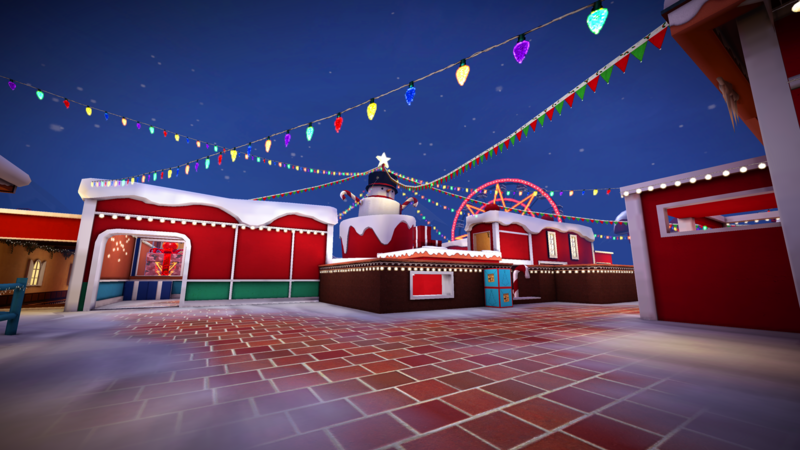 2018 WINTER EVENT STARTS NOW! 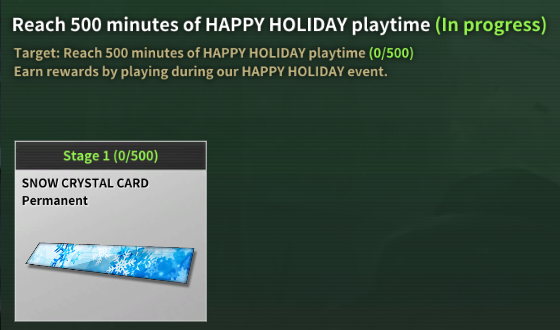 ‘SNOW CRYSTAL CARD/Permanent’ can be earned when you achieve 500 minutes of play time. 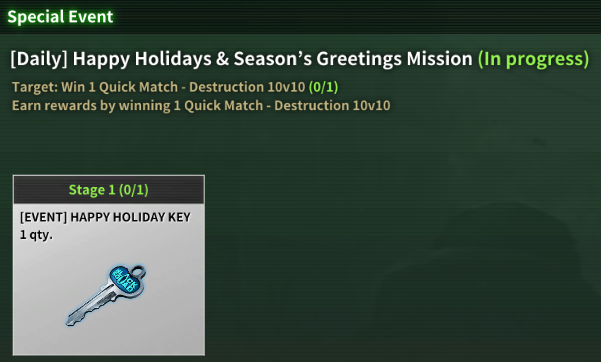 [Note] This Special Mission will be removed when the 2018 WINTER EVENT ends. 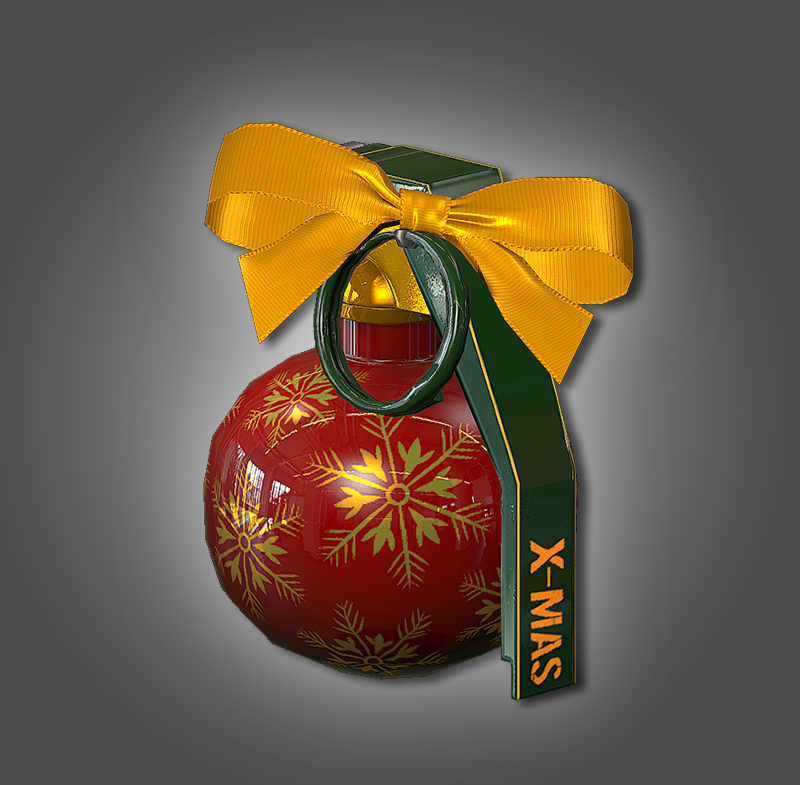 ‘SEASON’S GREETING BOX’ + HAPPY HOLIDAY + 50% DOUBLE UP BOOSTER & One Day Item’ can be earned each day for the ATTENDANCE CHECK REWARD. 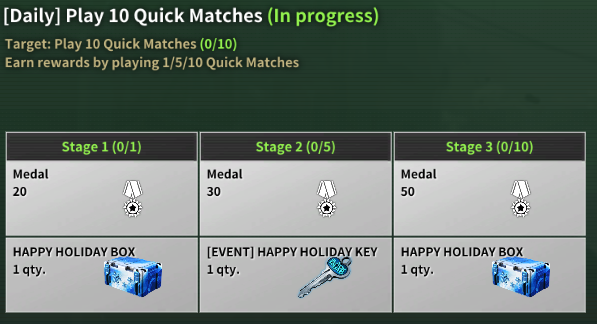 ‘HAPPY HOLIDAY BOX’ or ‘[EVENT] HAPPY HOLIDAY KEY’ added to each reward stage. 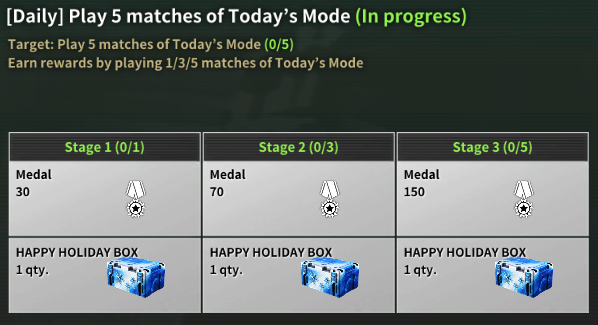 ‘HAPPY HOLIDAY BOX’ is added to each reward stage. 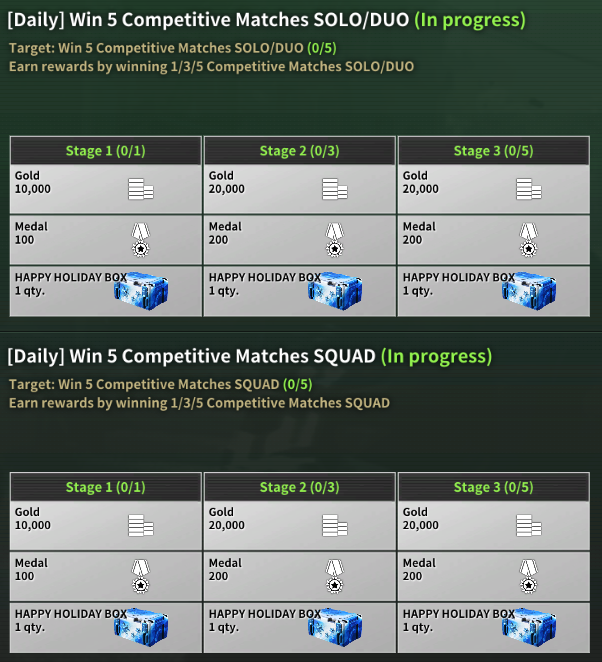 DAILY MISSION REWARD UP: COMPETITIVE MATCH-SOLO/DUO, SQUAD. 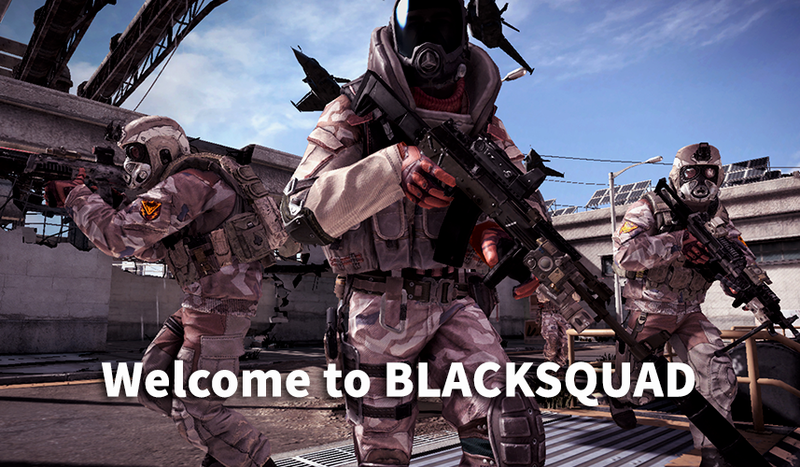 You can earn rewards by playing ‘QUICK MATCH – DESTRUCTION 10v10’ every day and winning 1 victory. ‘[EVENT] HAPPY HOLIDAY KEY ‘will be rewarded. DAILY MISSION FOR REVOLUTION MAP (NORMAL, HARD) added. 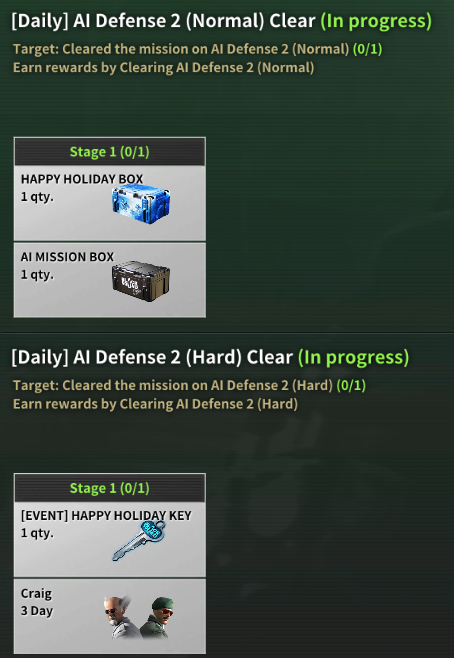 Goal: Clear AI DEFENSE MODE 2 in NORMAL and HARD Difficulty each day. Clear each difficulty and complete your daily mission to earn rewards. [Note1] The following items can drop from the ‘AI MISSION BOX’. 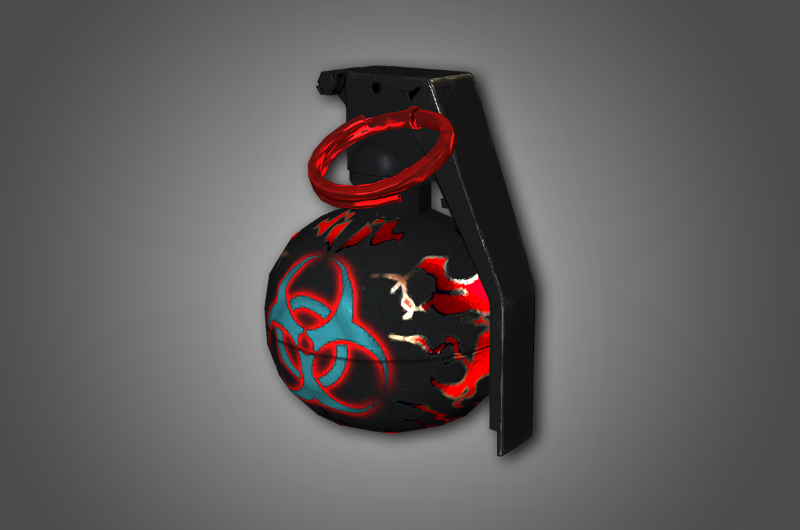 [Note2] BLOOD CHASER ITEMS can deal more damage to AI in the REVOLUTION MAP. 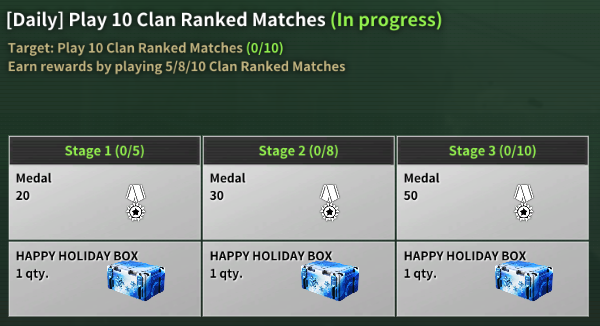 CLAN DAILY MISSION: CLAN RANKED MATCH REWARD UP. 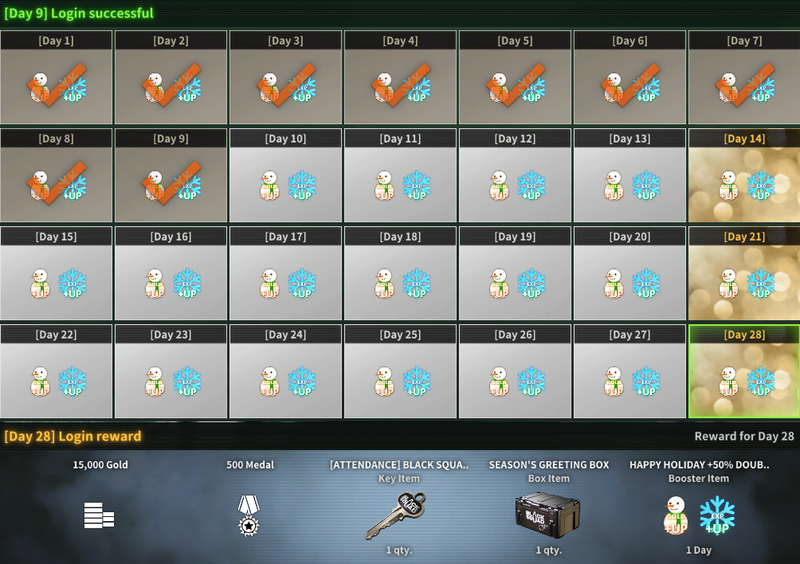 HAPPY HOLIDAY BOX’ added to each reward stage. ‘Limited Time Bullet(s) Sale for ‘2018 WINTER SPECIAL PRICE’. 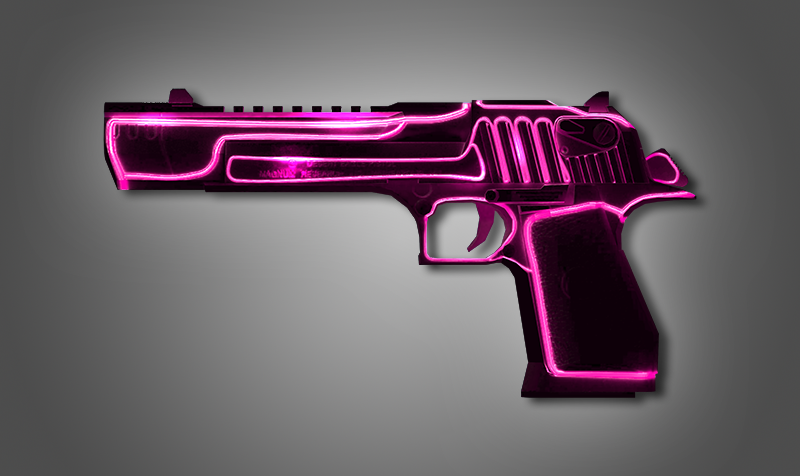 You can buy 2,500 BULLETS for only 4.99$ (19.99$ Value). One Time Purchase Available per each Account Only. The Sale will end on January 7th, 2019, after the Patch update for the Sale. 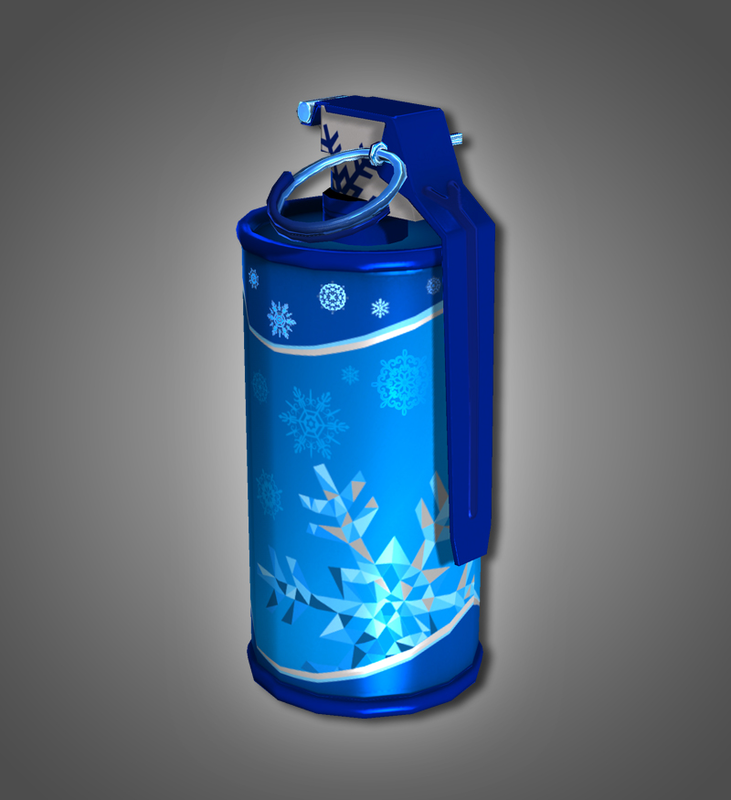 Limited Time In-game Item Sale to celebrate the 2018 WINTER EVENT. The Sale starts after the Patch update and it will end on January 7th, 2019. The below New Items are excluded from the Sale. 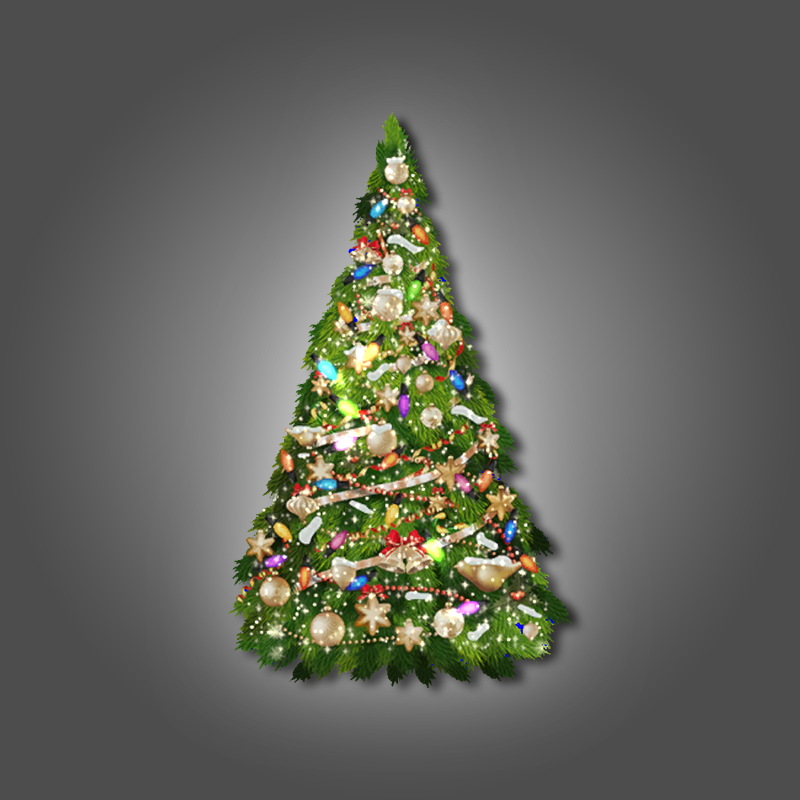 The obtained ‘HAPPY HOLIDAY BOX’ can be found in your Inbox. 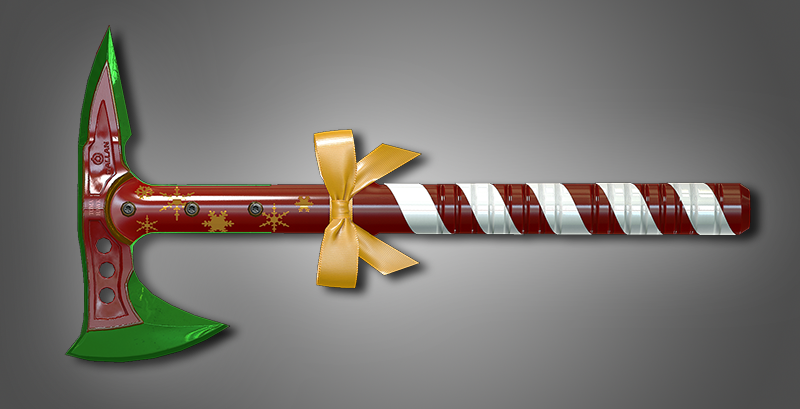 To open the ‘HAPPY HOLIDAY BOX’, you need one ‘HAPPY HOLIDAY KEY’ or ‘[EVENT] HAPPY HOLIDAY KEY’. 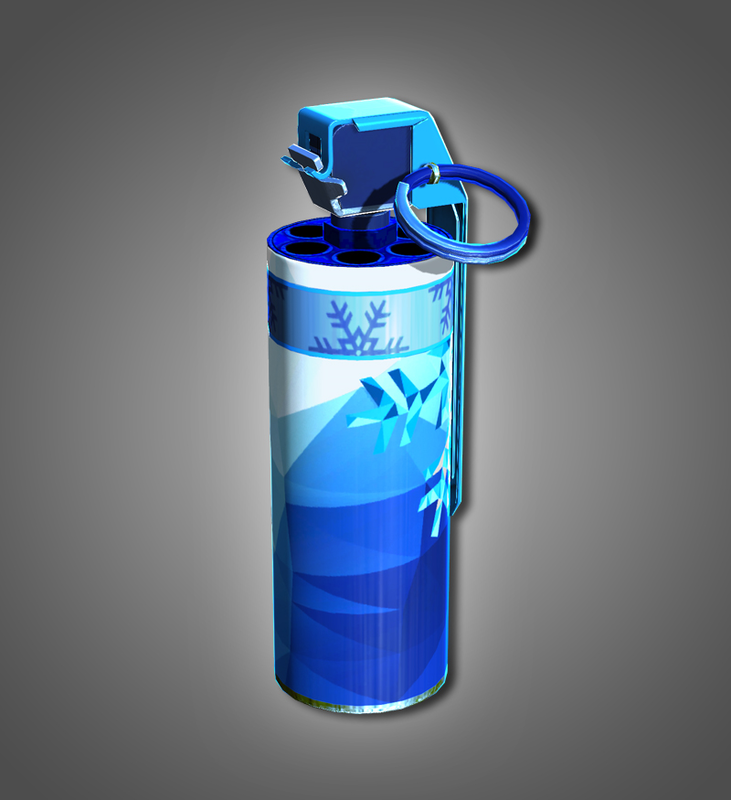 The following items can drop from the ‘HAPPY HOLIDAY BOX’. The below items are permanent. 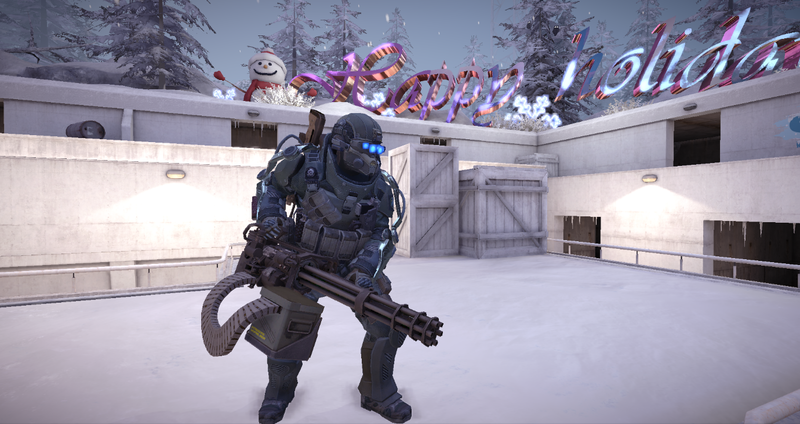 The ‘HAPPY HOLIDAY BOX’ item and the items below are only available for sale in the Steam Market. 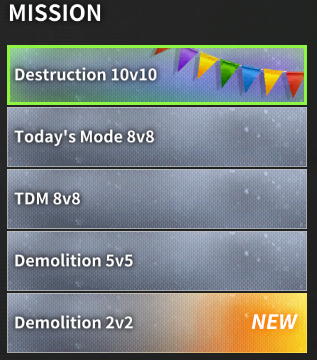 NEW DESTRUCTION 10v10 MODE added to QUICK MATCH Channel. Destruction 10v10 Mode is a small version of Destruction Mode and the rules are the same. However, the destruction objects of each team are located in 3 different areas and the maximum number of soldiers is 10v10. 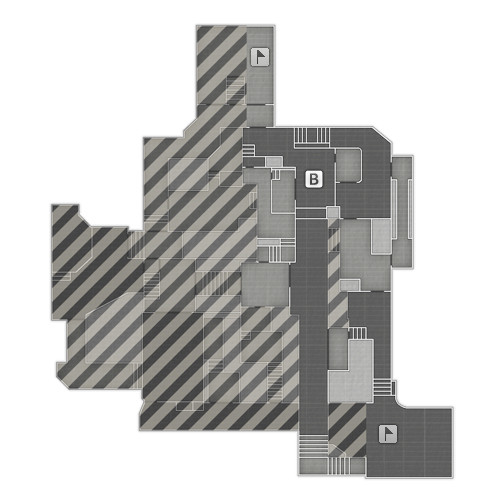 You can play the new ‘CREAMCAKE’ map in Destruction 10v10 Mode. 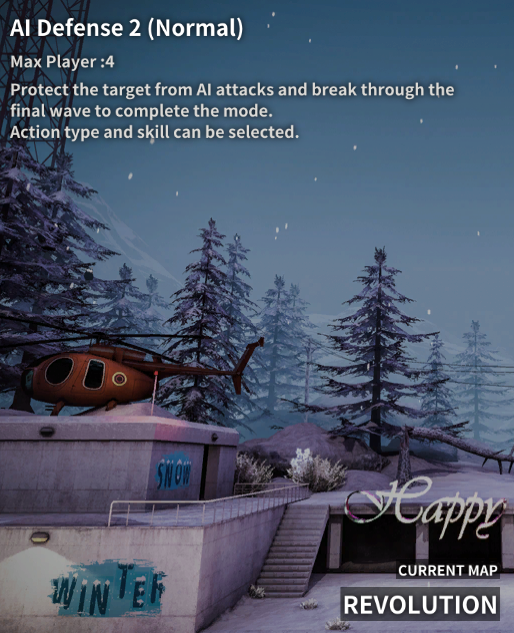 Destruction 10v10 Mode is available to play only during the 2018 WINTER EVENT. 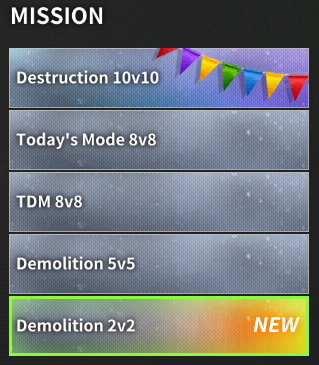 [Note] Destruction 10v10 Mode and ‘CREAMCAKE’ map is only available in the QUICK MATCH Channel. NEW DEMOLITION 2v2 MODE added to QUICK MATCH Channel. 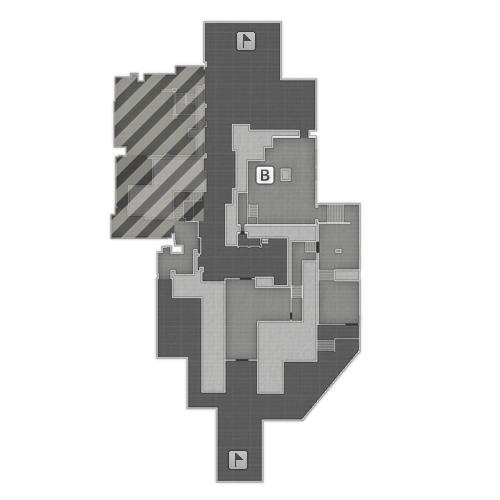 DEMOLITION 2v2 Mode is a small version of DEMOLITION Mode and the rules are the same. 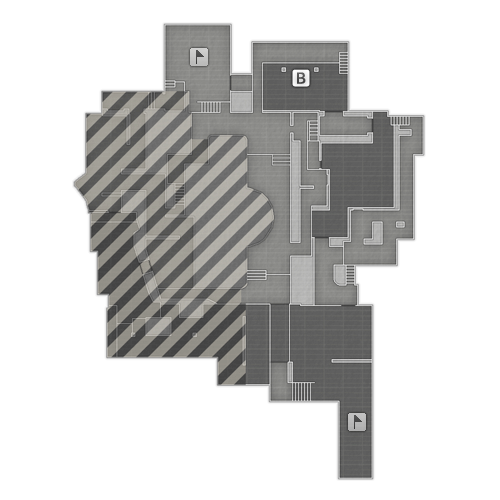 However, there is only one C4 set up area and the maximum number of soldiers is 2v2. DEMOLITION 2v2 Mode is also available to play in the CUSTOM Channel. 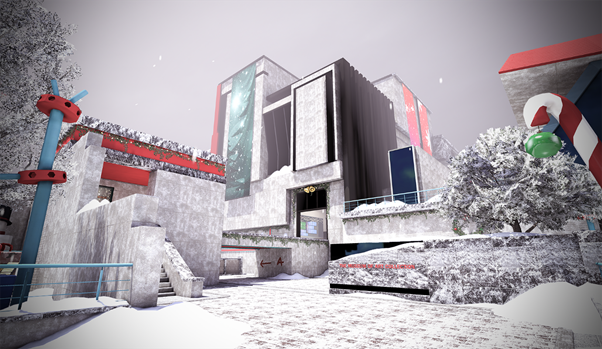 NEW CONQUEST MODE – ICICLE added to the CUSTOM MATCH Channel. 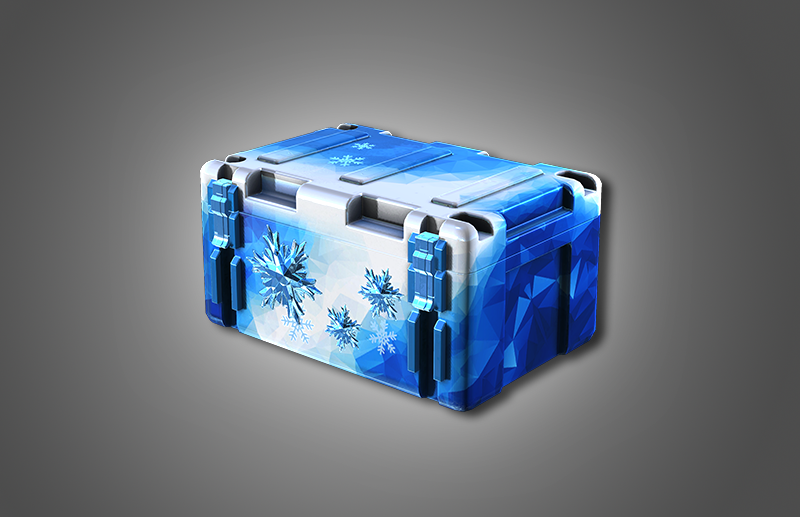 You can choose and play ‘BATTLE MISSION – CONQUEST MODE – ICICLE MAP’ in the CUSTOM CHANNEL. 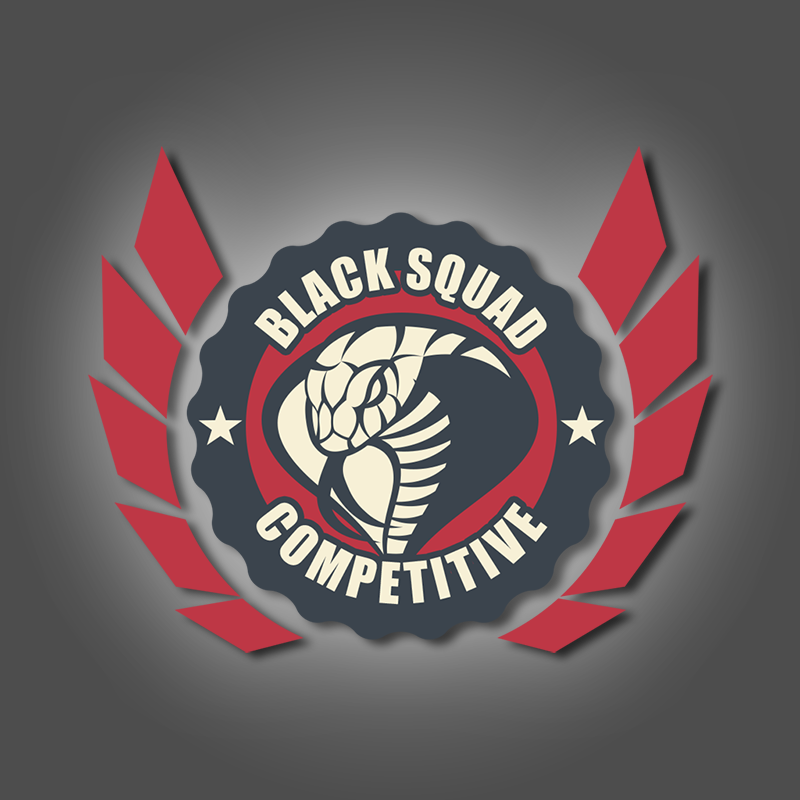 – It is a Battle Mission in which a maximum of 32 soldiers can participate. 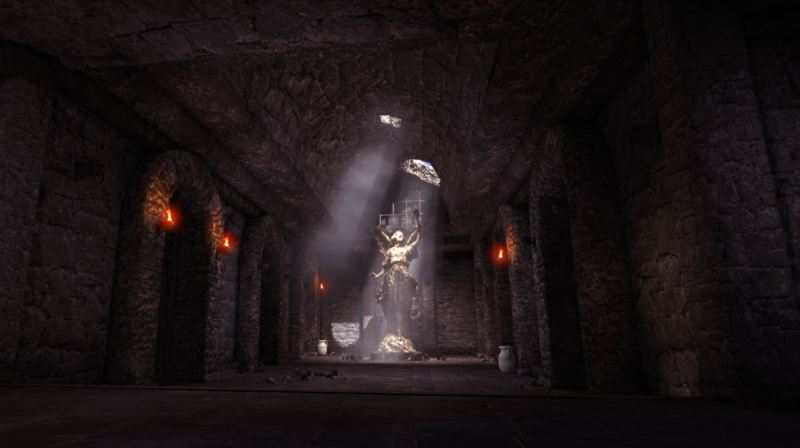 – This Mission has the same rules as Capture Mode and there are two capture areas. – The team that reaches the goal score first during the time limit wins. 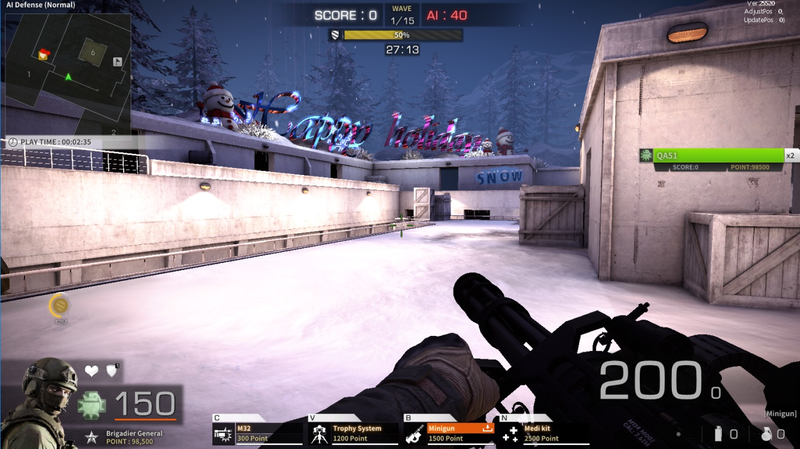 – If the time limit expires, the team with the higher score wins. 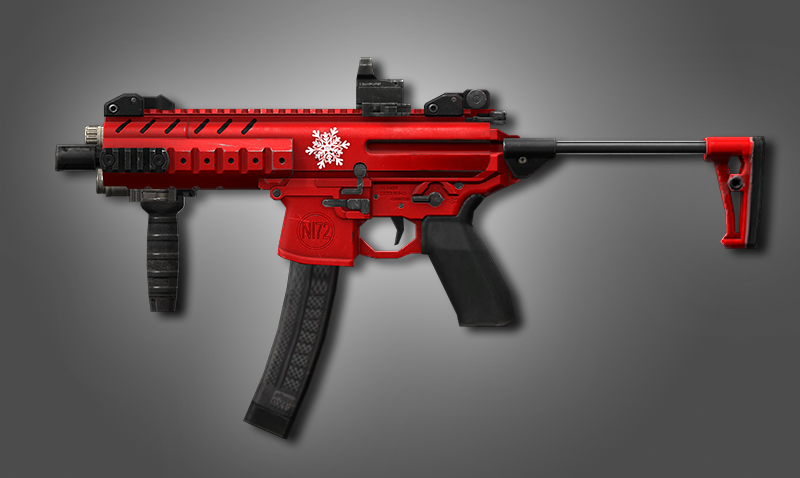 COLLECTION MAP has been redesigned with a Snowy Design. 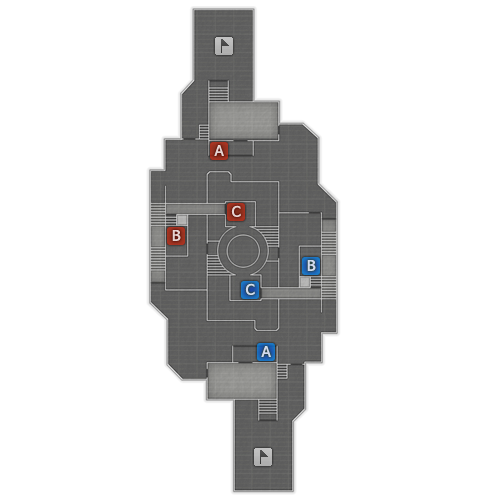 REVOLUTION MAP (AI DEFENCE MODE 2) added. PVE-EVENT CHANNEL (AI DEFENCE MODE 2 ONLY) added to all servers. -Protect your target from AI attacks and break through the final wave for VICTORY. -You can use your skills through points earned by killing AI. 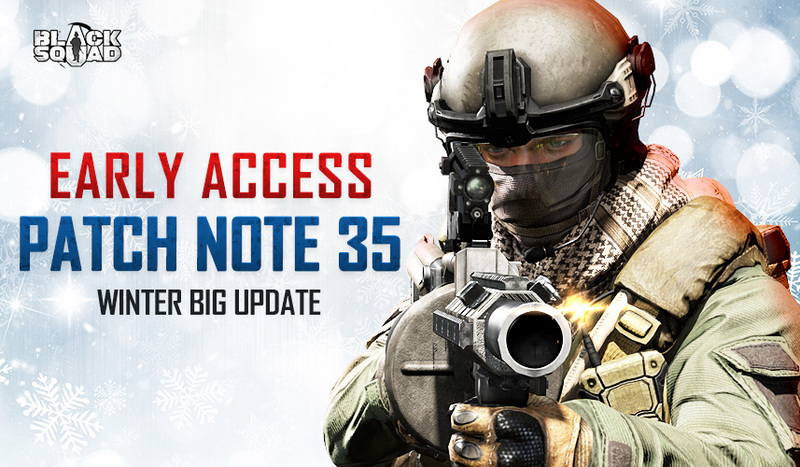 -Collaborate with up to three soldiers and break the final ’15th WAVE’ in 30 minutes. 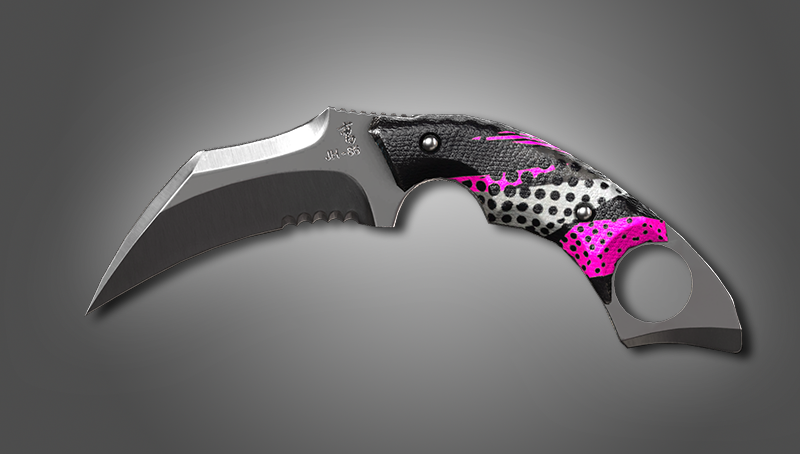 -You have three lives and if you die, you will not be able to respawn during the current WAVE. If the team’s surviving solider clears the WAVE, the dead soldiers can respawn and play the next WAVE. -DEFEAT occurs if all soldiers die. -There are 2 Difficulty Levels (Normal, Hard) available. -You can only play in REVOLUTION MAP (AI DEFENCE MODE 2 MAP). The weapon and Class skill balance of AI DEFENCE MODE 2 are adjusted as shown below. 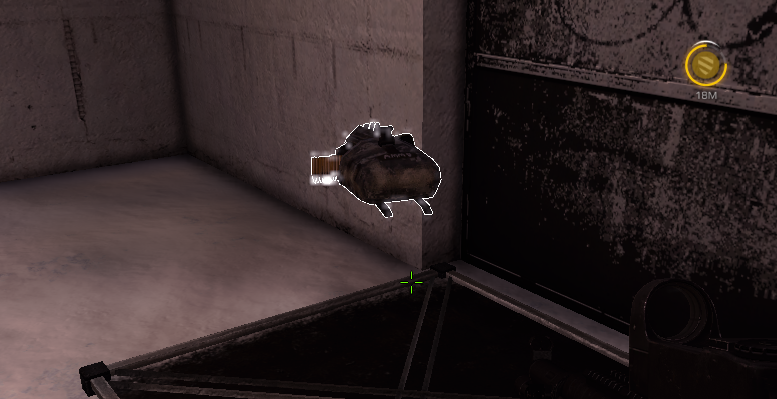 -Now general weapons give more damage to AI. However, the BLOOD CHASER skin weapons still give more damage. 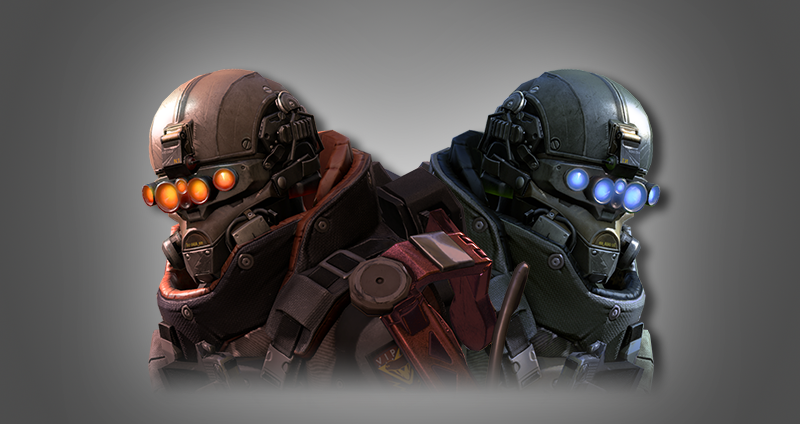 Now moved to the second skill of the Assault Class. It is now deleted from the skill list. 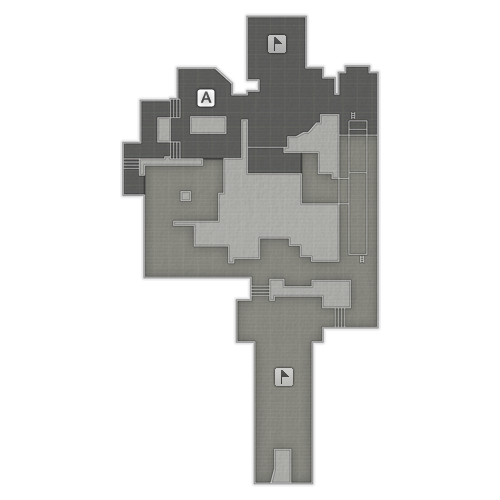 However, it is located somewhere in the map and can be acquired. 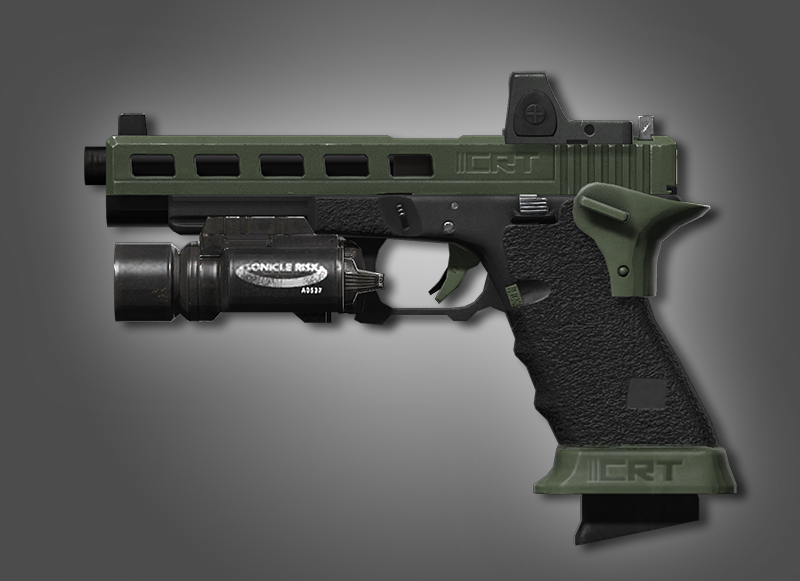 -It is automatically acquired when a solider touches the AMMO KIT. Trophy System moved from the third to the second skill. The price of the Trophy System changed from 800 to 1200. 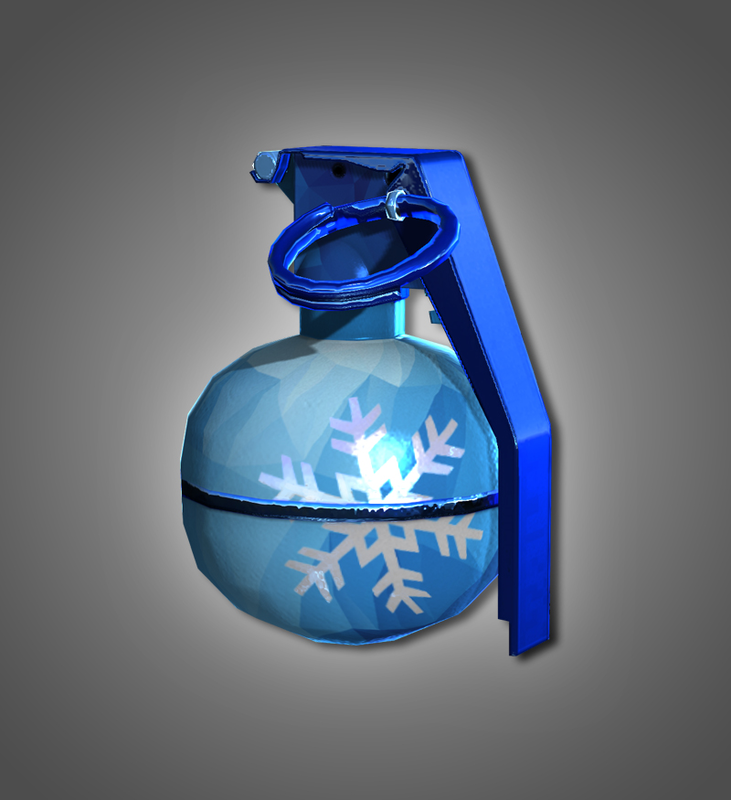 A new skill, Minigun, added as the third skill. 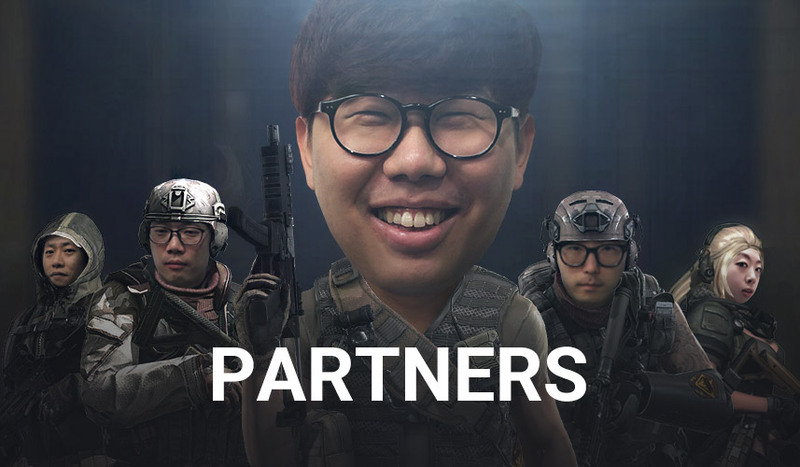 COMPETITIVE MATCH – SEASON 1 Starts Now. All records from Pre-Season will be reset after the patch update. Over 800 MMR Points in Pre-Season = Over 800 MMR points assigned through the calculation system based on Pre-season MMR Points. 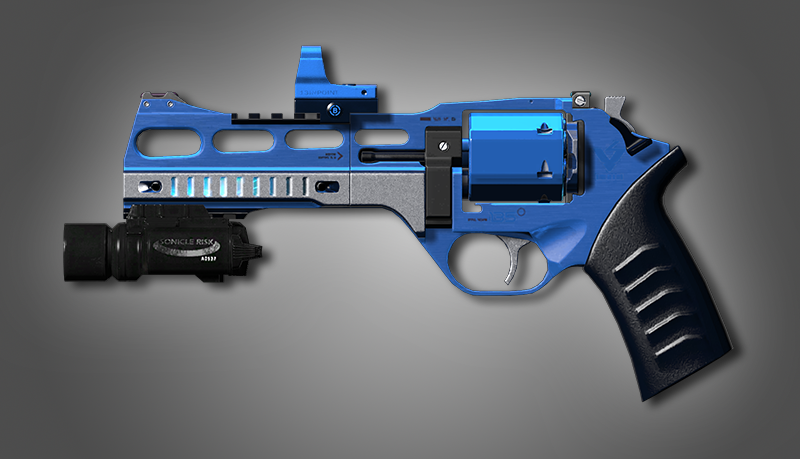 You cannot use ‘Surrender Vote’ within 3 rounds. The large MMR point difference issue will be minimized by improving the match making system. The MMR Points range per each Tier (Rank) will be changed as shown below. 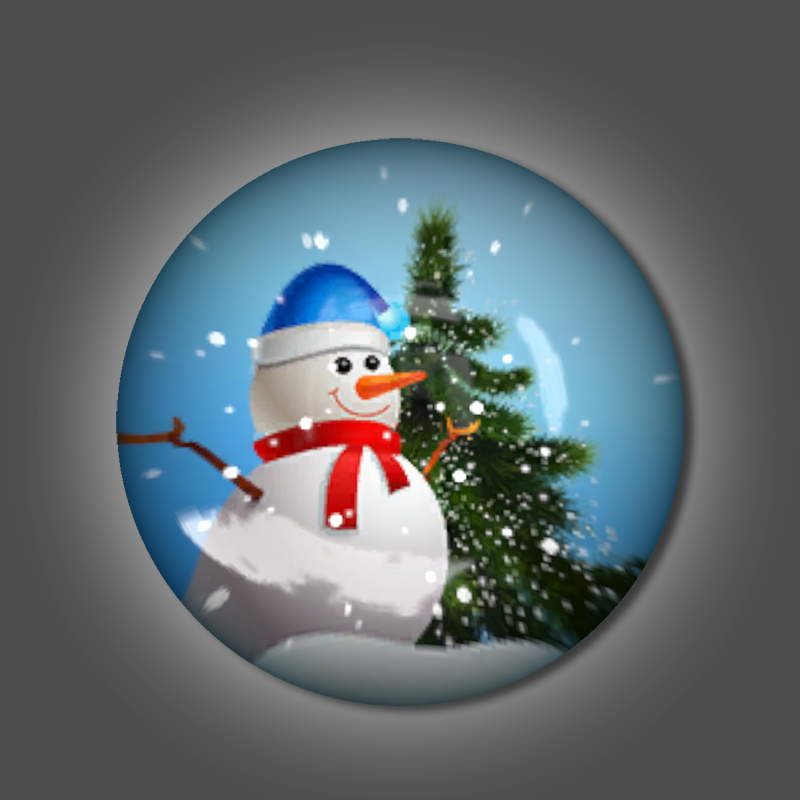 Various Events with Rewards will be in process during SEASON 1. 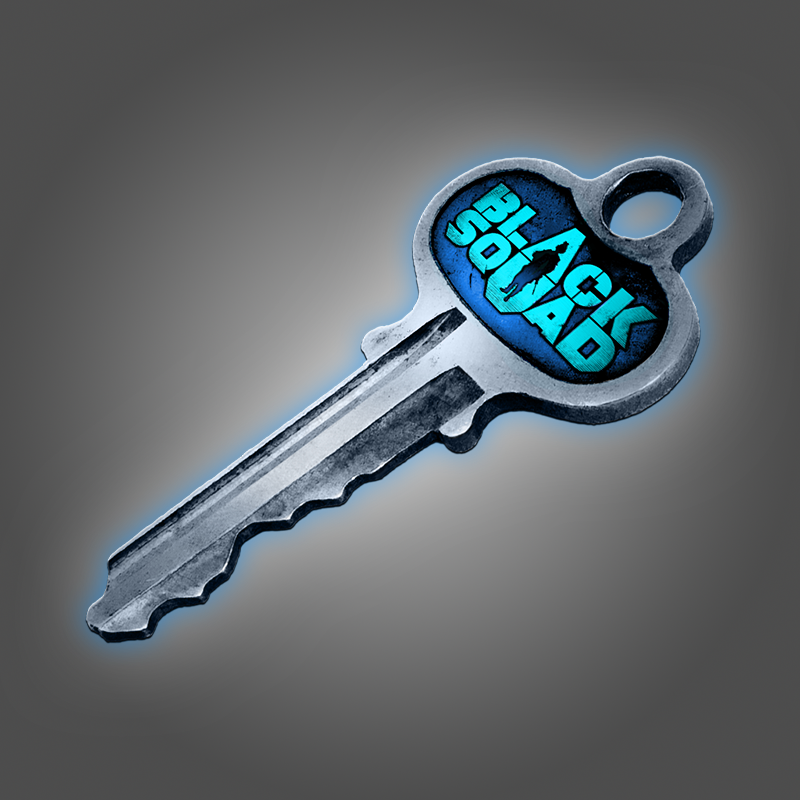 Achieve the In-game Mission below to immediately get rewards in Competitive Match. How to Join: Play In-game Missions in Competitive Match. 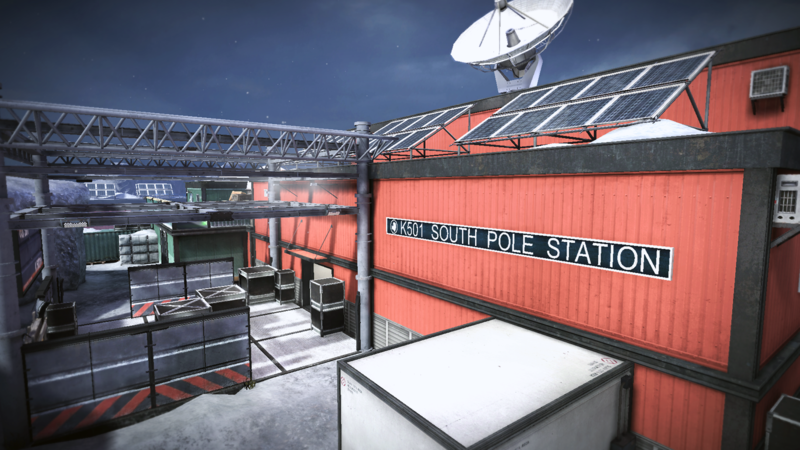 From Season 1, the Ban Plan for Competitive Match for Unfair Activity will be executed. The penalty time for leaving the match will be 2 hours; soldiers cannot join the match again during that time. From Season 1 if you repeatedly or intentionally do the following activities, you will get a temporary or permanent ban penalty from participation in Competitive Matches. 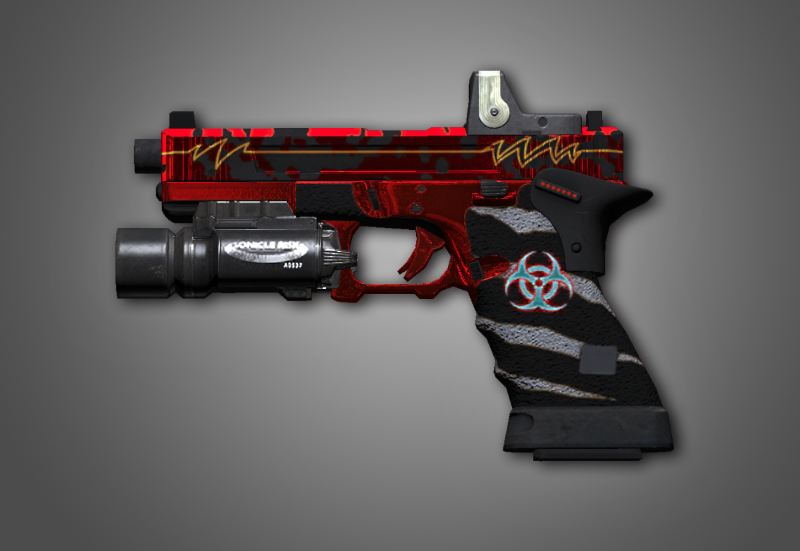 If the accumulated number of abandoned matches exceeds a certain number, you will be banned from entering the Competitive Channel, and you will no longer be able to participate in Competitive Matches during that season. 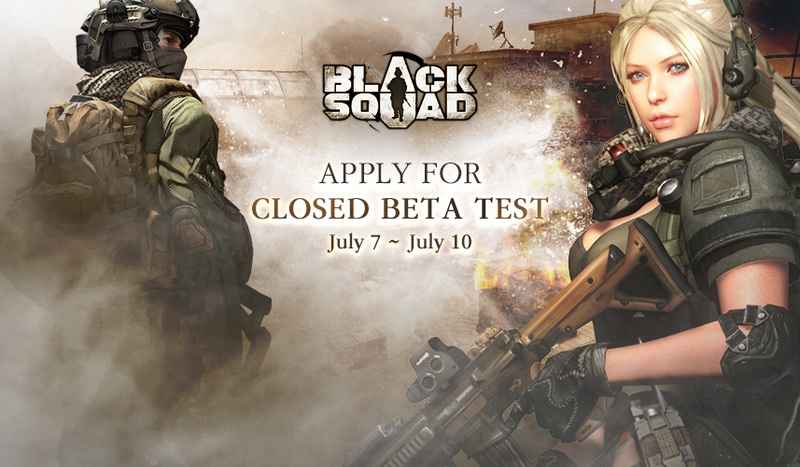 If the abusive activity level is low: You cannot enter the Competitive Channel for 7 days. If the abusive activity level is high: You can no longer participate in Competitive Matches during the season. 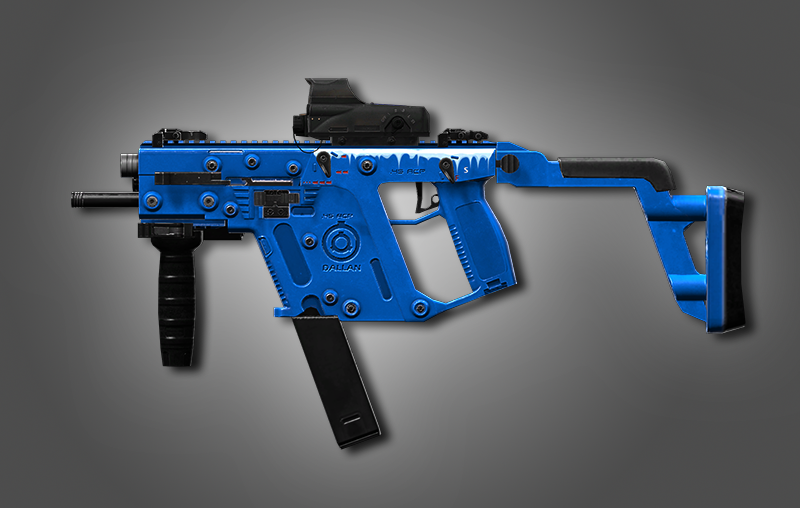 New Weapon Skins are now available for purchase in the Random Box Shop. 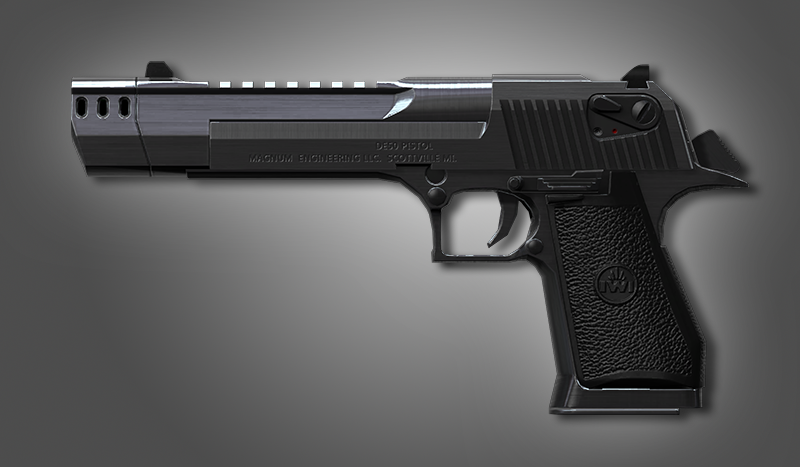 -DAMAGE to ‘Torso/Arm/Legs’ shot has increased. The Scoring System UI has improved. 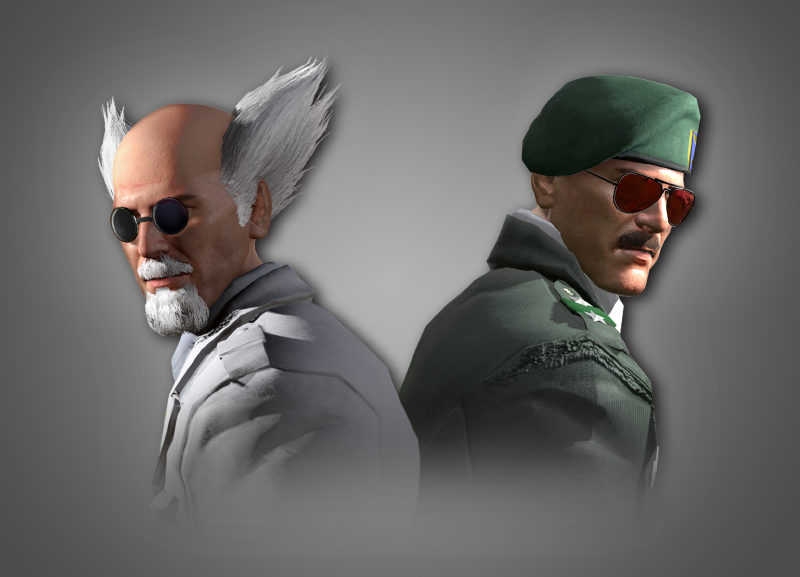 >DEMOLITION 8v8, Assassination, Battle Mode removed from Quick Match Channel. -Those Modes are available to play in the Custom Channel. >The below Box Items can now be destroyed and its refund amount is 1,000 Gold.